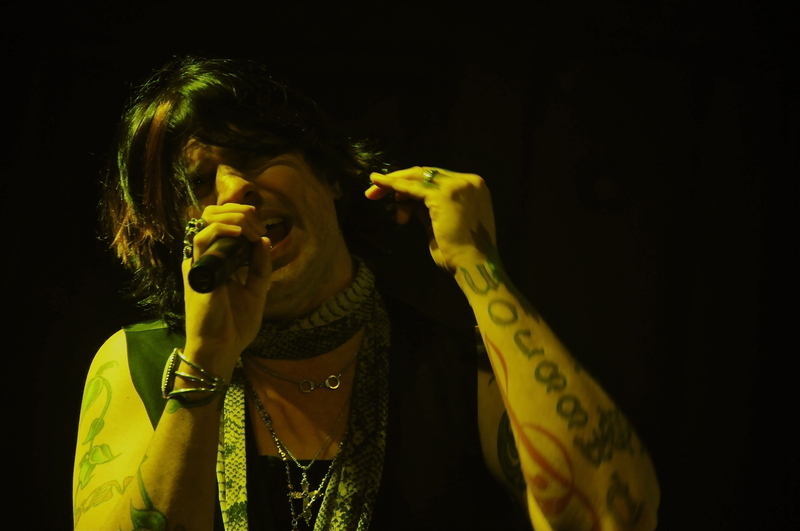 We recently had the opportunity to talk to Hinder frontman Austin Winkler. 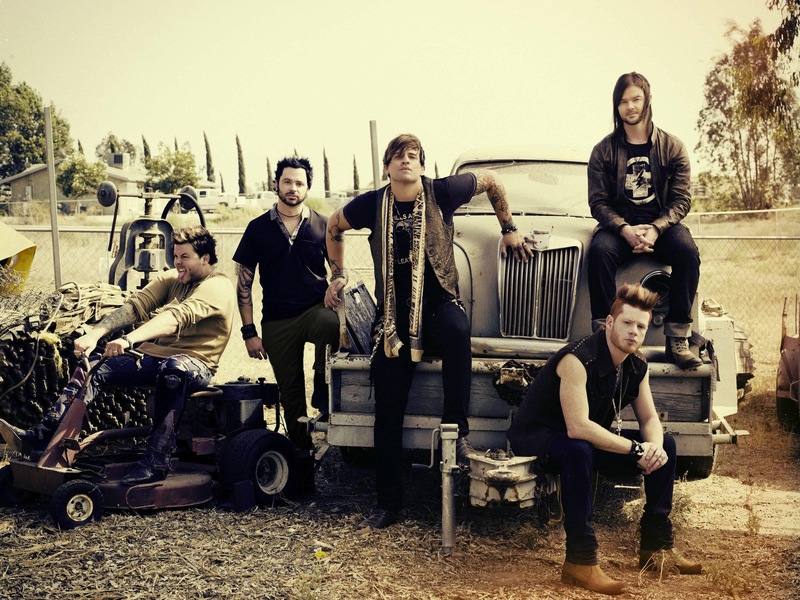 We spoke about the upcoming Hinder release Welcome To The Freakshow as he was preparing for a hometown gig with Buckcherry at The Zoo Amphitheater tonight. Welcome To The Freakshow will be released on December 4 as the band will also hit the road for The Bare Bones Tour. The tour will be done acoustically and unplugged and hit selective markets in November. Check and see what else Austin had to say. Rock Show Critique: You guys will be dropping a new album on December 4 entitled Welcome To The Freakshow. How did you go about the writing process for the new album? Austin Winkler: It’s about two years in the making of actually getting this record nailed down. We went back to Nashville to write with some writers. We wrote about twenty-five songs for this record, narrowed it down to ten. We recycled one song from the last record for which we wrote seventy songs for. We stripped some fresh on our mind ideas that came together rather quickly. Those standouts are kind of no brainers to us and we just built the songs around those. RSC: What song(s) would you like to see released as singles? AW: Ideally I’d like to release the whole record but we’re only dreaming right? There’s a song on there called “Talk To Me” it’s kind of a slower track, I think that a lot of people can relate to the subject matter and what not. I’d like to see it hit the radio waves. RSC: Listening to the album there are several songs that standout “Anyone But You”, “Is It Just Me” and title cut “Freakshow” which is one of the heavier tracks on the album. AW: Yeah that was actually a really fun track to write. Also “Is It Just Me” its a little different, the production is different but I think it’s very cool as far as I think a lot of people think that way. People go into bars and get into a certain buzz state of mind and start thinking that am I the only one that thinks all these things or do other people think them too? RSC: How do you guys write the songs? AW: Me and Cody usually write the shell of the song and we’ll take it to the rest of the guys and let them put the icing on the cake. RSC: Looking back at your last album All American Nightmare. I felt it was your strongest album to date at that point. It had three singles released but it seemed that none of them really did anything on the charts. Were the wrong singles chosen in your opinion? Or was it something else that caused it not to take off as you would have hoped? AW: It’s a combination of the times where radio was when we were releasing those tracks. I definitely don’t think the wrong singles were chosen. I think they’re pretty solid tracks. You know they just didn’t catch on as well as we’ve liked them to. There’s a lot of behind the scenes stuff that we deal with that nobody sees. So its a combination of a lot of things. RSC: Let’s talk set lists. On the Last tour, the set lists basically stayed the same. Will you take more of an approach to mix it up now that you do have more material to choose from? AW: Yeah we’ll definitely get into a groove of getting the new songs down, rehearsing them and playing them and getting comfortable with them on stage. Yeah I think we’re gonna build towards possibly having a different set list probably three different ones we can choose from. Night after night its kind of easy to fall into a groove of playing the same set. RSC: I see you’ll be doing something a little different Bare Bones Live and Unplugged? AW: That’s an acoustic tour that we’re setting out on. I think it’s gonna be really really cool, its a different side of Hinder, to see the songs in their most vulnerable state. To give the fans a chance to hear our tunes and hear us all stripped down at its core. I think its gonna be interesting for our fans to see. RSC: Will you be doing any new songs on the Bare Bones Tour. AW: Yeah we’ll be playing five or six new songs. RSC: How do you take care of your voice? Is there anything you do special? AW: I warm up everyday and I try to warm down but that doesn’t really happen. I try to get plenty of rest but that doesn’t always happen as well. RSC: What made you want to play music for a living? AW: I got two things for that. The first time I heard “Janie’s Got A Gun” I think I was seven years old. The first time I heard that song I was blown away, it just kind of hooked me. I’d sit around the radio, my stereo with a tape in there waiting for it to come on so I can record it. I definitely remember that and wanted to be a part of it. And the first time I saw anybody play the acoustic guitar really well I kind of remember putting my fingers on it said that’s what I wanna do. So I got a guitar when I was fourteen and started playing and the rest is history. RSC: What was the first concert you ever saw? AW: The first concert I saw was The Beach Boys actually. When I was young so yeah it was pretty cool. RSC: When all is said and done, how would you like Hinder to be remembered? AW: I want Hinder to be remembered as a band that wrote great songs that people can relate to, to try and get them through tough times. And as a band that didn’t really stray from who they were, always kind of stuck to their guns and hope that people admire that. Special thanks to Nina Kolb for setting us up with the interview!